Figo got together with Stan Collymore in the latest episode of his football show to talk about the FIFA 2018 World Cup in Russia, the tournament favorites and, of course, Portugal’s Ronaldo. Stan met the 45-year-old former player in Dubai, United Arab Emirates, where he helped to launch the Under-13 Dubai Intercontinental Football Cup, which assembled more than 400 kids representing 13 countries. This week's Stan Collymore Show! 2 @FIFAcom legends @Trezegoldavid & @LuisFigo give fantastic insight into youth development, and @TheRealSalgado hosts Liverpool, Real Madrid, Barca, Juve in his U13 Dubai tournament. Speaking about the kids’ tournament, Figo underlined the importance of staging junior competitions in which young players have access to great coaches and facilities, helping them to develop and evolve into high-class footballers. “I’m very pleased to be here, because I’m an ambassador of international under-13 tournaments.” Figo said. 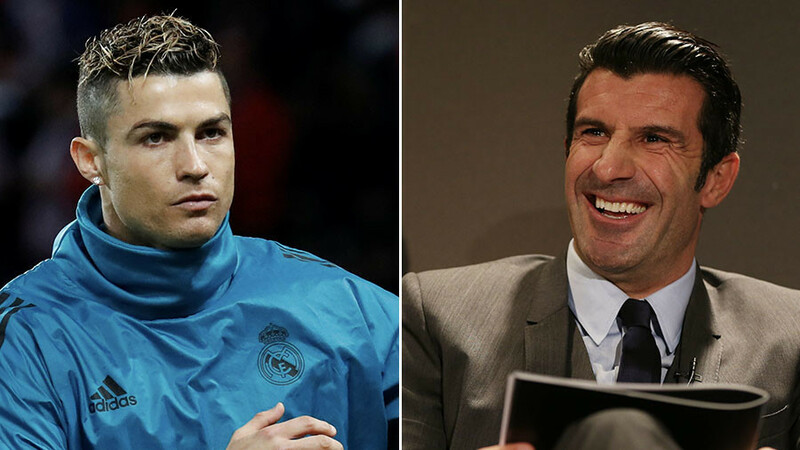 Figo has also spoke about Portugal’s leader, Ronaldo, and expressed the hope that winner of five Ballon d'Or awards will be in good competitive shape for the World Cup to guide his team to the football pinnacle. “There is always the goal to do better than you did last time,” the former Real Madrid midfielder said. The retired Portuguese player, who captained his national team to the semi-final of the 2006 World Cup, noted that the squad’s leader should have a stellar mentality, to inspire his counterparts and push his teammates forward. “You always have to think that you can achieve the victory, achieve the trophy, achieve the final,” Figo said. Figo, who was named the FIFA World Player of the Year in 2001, said that having the experience of competing in the world’s strongest leagues, the players of his generation brought Portuguese football to a new level. “All the players at that time probably had the mentality of playing in the big teams from foreign leagues. That helps you and gives you the experience of playing at [high] level. When asked whom he would name as the favorites if Portugal doesn’t win the World Cup Figo said that he would bet on the defending champions – Germany.